When the baking potatoes have sprouted, dried out a little and developed spots, they are no longer suitable for baking. That’s when this recipe comes in handy. Waste not want not! 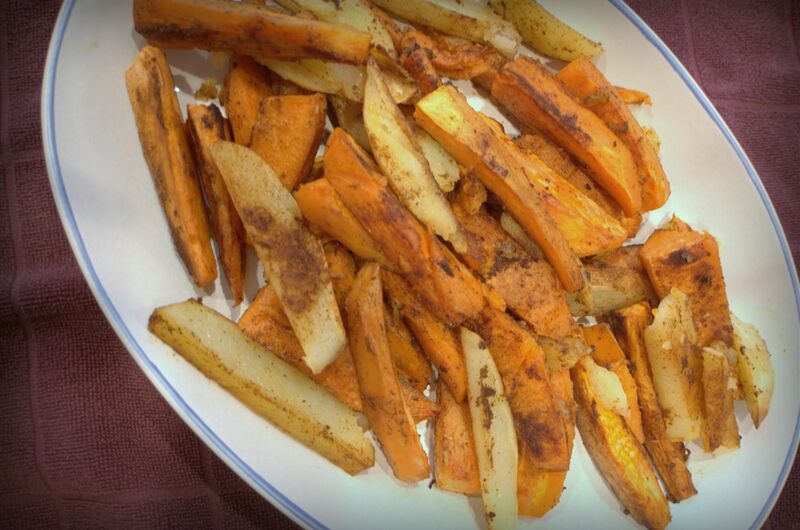 I made these with both white and sweet potatoes that were somewhat past their prime. Our son Sean and his wife, my fabulously talented daughter-in-law, Erin, were over for dinner, and when I pulled out the potatoes she pulled out her camera. Preheat oven to 400 degrees. Spray cookie sheet with non-stick spray. 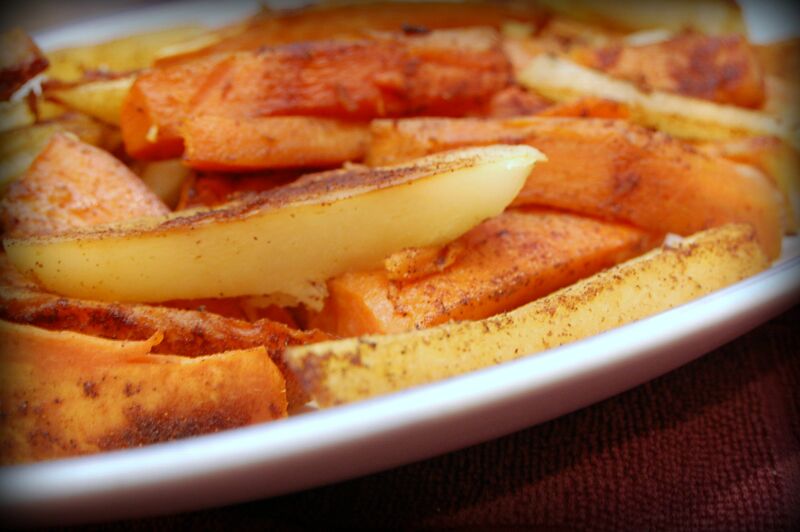 Wash and peel baking potatoes. Cut into halves, then fourths, then eighths. Cut out any brown spots or discoloring. Lay out on cookie sheet. Sprinkle olive oil over all, then paprika, salt and pepper. Place in 400 degree oven and bake for thirty minutes. Pull out and turn each piece. Return to oven and bake an additional fifteen minutes. Serves four.